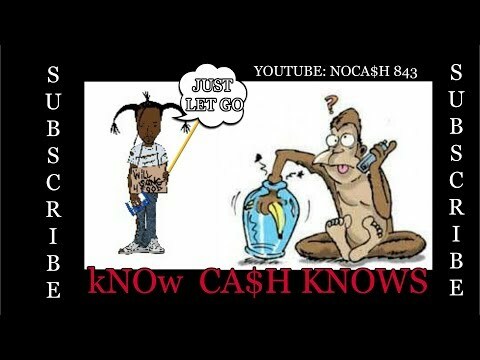 [THE FOOLISH ANIMAL IN US ALL] kNOw CA$H SALUTES PRINCE EA &amp; CATCHES A MONKEY!!!! File Name: [THE FOOLISH ANIMAL IN US ALL] kNOw CA$H SALUTES PRINCE EA &amp; CATCHES A MONKEY!!!! WANNA KNOW WHAT'S UP WITH KNOW CA$H? SUBSCRIBE NOW AND HIT YOUR NOTIFICATIONS TO STAY UP TO DATE! Stream the new hit single "BE Better"
kNOw CA$H is using this channel 2 showcase what he does best, entertain others while spreading awareness and enlightenment. By Supporting the kNOw CA$H Movement through donations, active participation in the channel, and sharing on social media you are helping him build a brighter future 4 himself & others with a message of peace, love & unity. kNOw CA$H needs you 2 subscribe & stay tuned. All CASHIZ click the link below 2 subscribe & click your notifications bell !!! !